When Robert Zemeckis’s Mars Needs Moms fizzled at the box office, many considered it the death knell for motion capture (mo-cap) movies. Zemeckis was a filmmaker who had particularly embraced mo-cap technology with films like the Polar Express, Beowulf, and A Christmas Carol. However, the poor showing of Mars Needs Moms forced Walt Disney Studios to cancel a planned mo-cap adaptation of Yellow Submarine and its longterm relationship with Zemeckis’s mo-cap production company. With the release of the Adventures of Tintin, however, Steven Spielberg and Peter Jackson have taken a big leap forward with mo-cap and appear to have somewhat overcome many of the problems with the technology. The complaints with mo-cap stem from a hypothesis from robotics and 3D animation known as “the uncanny valley.” The hypothesis postulates that “when human replicas look and act almost, but not perfectly, like actual human beings, it causes a response of revulsion among human observers.” In films like the Polar Express, complaints about the creepiness and “dead eyes” of the characters created aversion among many viewers. 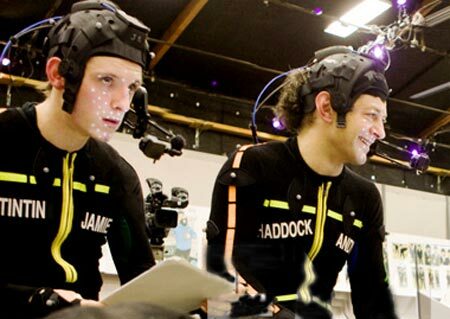 While I’m not a particular proponent of mo-cap, I’ve always said that execution plays as important a role as the medium in determining a film’s success or failure. I saw Mars Needs Moms in the theater and the bottom line was that it was an awful movie with unlikable characters and unappealing art design. 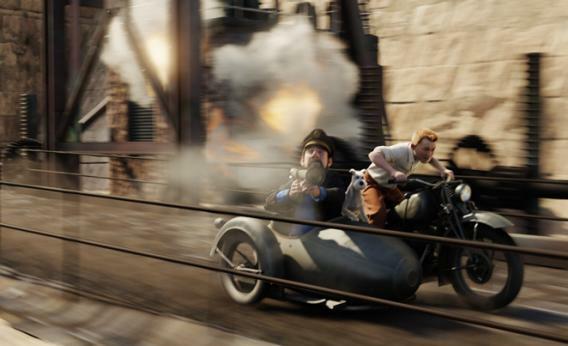 For the most part, the Adventures of Tintin has largely avoided these pitfalls by making Tintin as immersive and integrated a universe as possible. More importantly, the characters in the movie—like the characters on which they’re based—are fairly cartoony, creating some distance from the photorealistic look previous mo-cap films tried to capture. Weta Digital–Jackson’s special effects company which provided the mo-cap technology for Tintin–no doubt also made advances in the technology, particularly in capturing the nuances of facial expression and in the eyes. (As I was viewing the film, I could see that the animators had painstakingly given the characters eyelashes—a tiny detail but one that added to breathing life into the characters.) 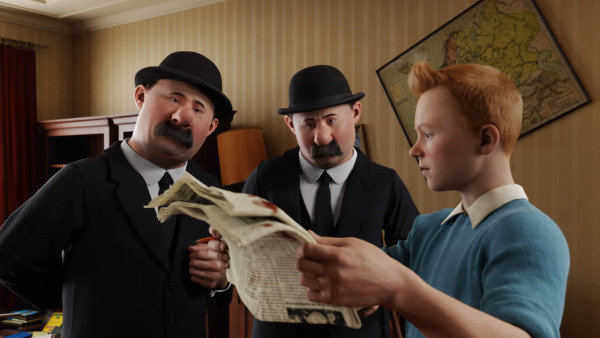 Ironically, Tintin is perhaps the most photo-realistically rendered human. In contrast to Mars Needs Mom, Tintin is also a triumph of direction. In Mars, I was always conscious of the actors providing the performance capture. 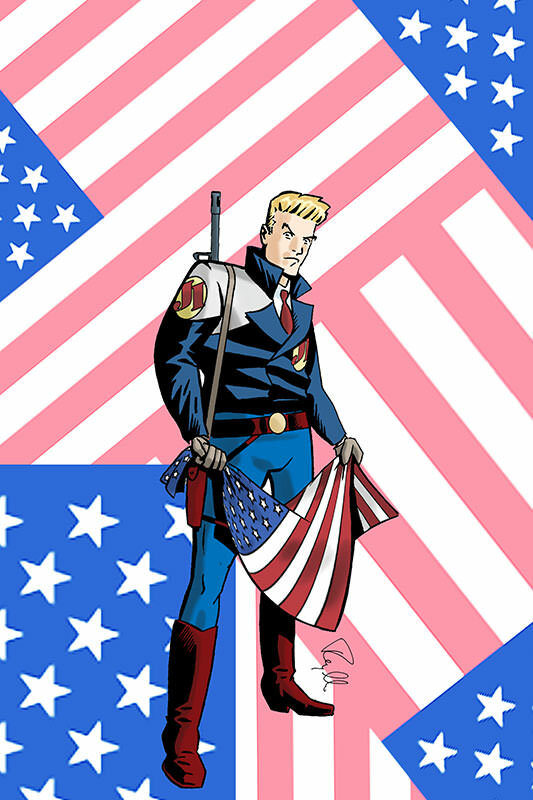 In contrast, for the most part, Spielberg and Jackson clearly sought a more stylized, exaggerated movements, which well suited a film based on a comic-book series featuring well-known iconic characters. As to the film itself, Tintin is a fun romp that captures the innocence of purity of high adventure without the need to wink at the audience. Spielberg has said that he discovered the character after many in Europe compared the first Indiana Jones movie—Raiders of the Lost Ark—to Tintin. It seems fitting that one of the earliest prototypes for globetrotting adventurers like Indiana Jones has been adapted by Spielberg into a timeless, classic film that is as fun, unironic and uncomplicated as one can find in the modern day world.